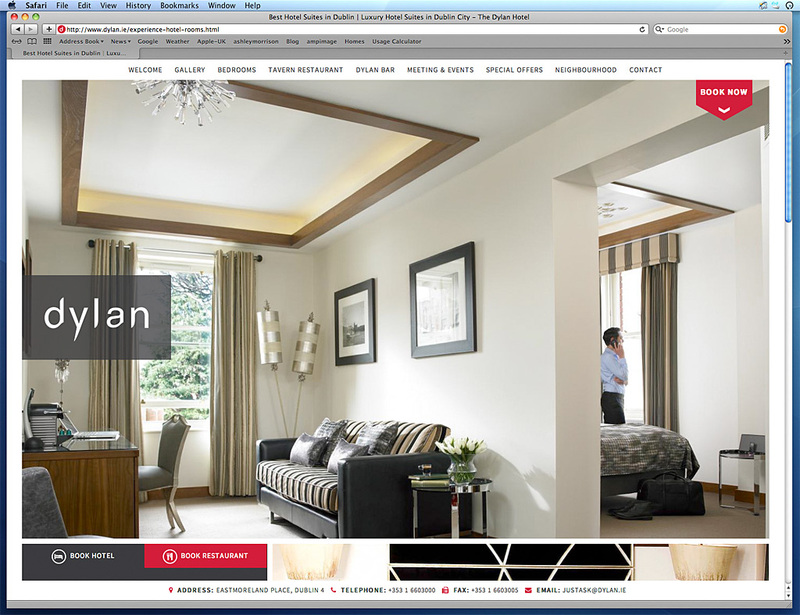 Page on the Dylan Hotel's website about Luxury bedroom suites in Dublin. Media use: All media including Worldwide web & promotional emails - Luxury bedroom suites at the Dylan Hotel in Dublin. Period of use: 1 year only.